If you need to upload additional photos for your conversion, please select this product. 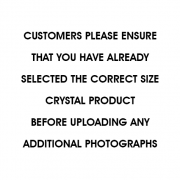 PLEASE ONLY UPLOAD YOUR ADDITIONAL PHOTOGRAPHS AFTER YOU HAVE SELECTED THE CORRECT SIZE CRYSTAL AS YOUR ORIGINAL PRODUCT. PRODUCT WILL NOT BE CONVERTED TO 3D. – Be aware that there is an additional charge applied for conversions created from separate photographs. 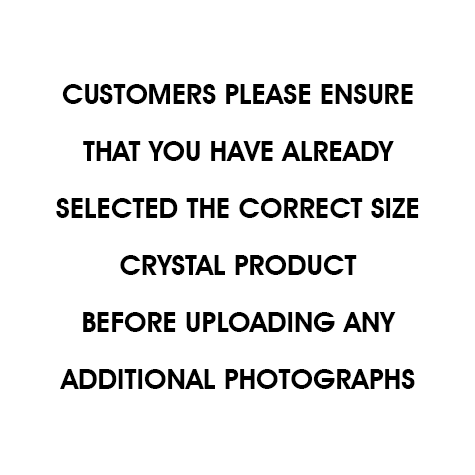 – If there is an obvious difference between the quality of the images then this WILL BE NOTICEABLE in the crystal, please attempt to use photographs of the same quality level. We cannot be held responsible for conversions produced from low quality photographs.